Celestite is a good communication stone to harmonize the energy in spaces used by groups of individuals. Metaphysical rockhounds say that celestite helps synchronize the egoistic mind with higher aspects of your Divine Nature. 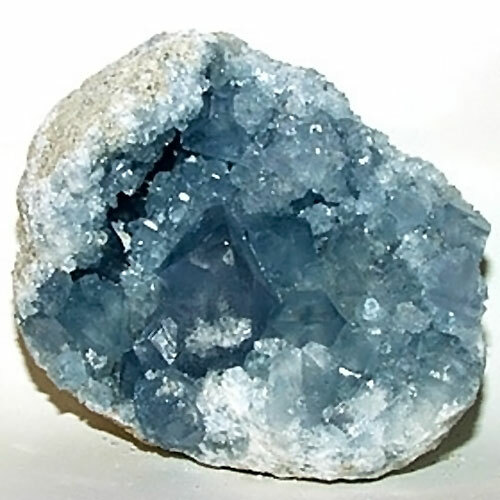 Celestite is said to promote mental balance -- a peaceful, tranquil mental state. Celestite is said to facilitate clairaudient communication with the angelic realms and with your Spiritual Guides and Teachers. Read more about Celestite in our Crystalpedia.